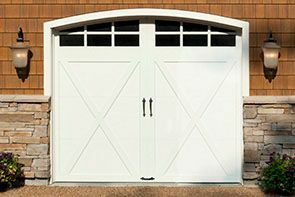 Northern Virginia Garage Doors and Repair | Stoneberger Garage Doors Ultd. 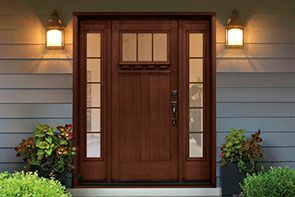 Clopay® entry doors are energy efficient and low maintenance. Stoneberger Garage Doors Unlimited is a family owned and operated small business that provides garage door sales, installation, and service to the Northern VA area, including Fairfax, Prince William, Loudoun, Fauquier and Stafford Counties. We take pride in providing exceptional service and top-notch products to all of our customers. 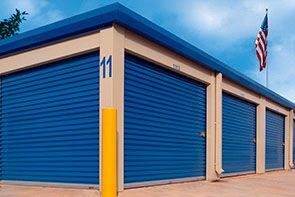 We carry quality garage door products from industry leading manufacturers like Clopay®, Rytec and LiftMaster®. Along with garage doors and openers, we also offer gate openers and dock levelers. Our knowledge, expertise and commitment to outstanding customer service comes from over 20 years in the garage door business, and it sets us apart from our competition. We welcome the opportunity to supply, install, or repair your garage door or answer your garage door questions. Please visit our contact page to get in touch! As a Clopay® Authorized Dealer, Stoneberger Garage Doors Unlimited is dedicated to providing superior levels of professional expertise and responsiveness in sales, installation and service. 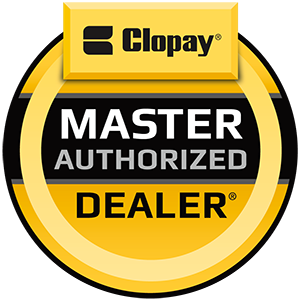 We offer the Clopay® Gold Bar Warranty, which gives you the opportunity to upgrade your hardware and torsion spring warranty on Clopay's residential garage doors. Excellent service, very professional and would definitely use them again for any future garage door repairs/replacements. Every time we called, someone always answered all our questions. They provided quotes in a timely manner, very well written up to include all services so there were no hidden cost/fees, and most importantly for a great price. Scheduling was easy, they completed the job promptly, and the new garage doors look great! Highly recommended! The service tech arrived early, had the part needed and had my garage door opening and closing again in under an hour. Their team were on time, very professional. Great family team! These guys are great. I called them to come and fix my garage doors and they were quick and priced great. They definitely know how to take care of a customer. I will definitely use them for any future needs. My garage door had been installed incorrectly and stopped working within 3 months original installer returned with a cost to fix and it worked for another 9 months and completely broke down. Checked my neighborhood web site and located Stoneberger who was highly recommended. He repaired door and fixed rails in a half a day. The door now works quieter and sides on door next to frame are closed previously they were not. His work is excellent.